What is a nominee company or nominee structures? Nominee company structure provides a high level of credibility and is one of the most exciting Tax Planning opportunities currently available. This structure is sometimes known as the fiduciary or agency structure. A major difficulty with many International Tax Planning arrangements is the fact that invoices from Offshore Companies appear in the accounts of the Owner. The Nominee Structure provides a solution to this in that all transactions are with an onshore company!. Nominee Company is formed in the high tax jurisdiction which acts on behalf of an Offshore Company.The Offshore Company is the Principal in all transactions and the Nominee Company contracts for business and acts on the Offshore Company's behalf rather like an Agent. All the advertising, marketing and promotion is done by the Onshore Nominee Company. Transactions are invoiced by the Nominee Company in its own name and the monies received by the Nominee Company pass straight to the Offshore Company. The Nominee Company is not collecting the money in its own right - it is collecting it on behalf of the Offshore Company. The ultimate customer is only aware of dealing with a normal company in a mainstream onshore jurisdiction. There is no necessity to declare the relationship between the Nominee Company and the offshore principal. The only income the Nominee Company has is a fee for providing its services. The audit of the Nominee Company shows only its fee income and its expenses. The trading income does not generally form part of the accounts as this is only handled on behalf of the principal. The level of the fee paid by the offshore company to the nominee company needs to be chosen carefully. A rough guide would be 5% to 10% of the gross turnover. Expenses of the Nominee Company are set against this and tax will be paid in the onshore jurisdiction on the resulting profit. The tax authorities then see a resident company with a resident bank account which is paying tax. This is much less likely to attract their interest than a zero-tax company! If questions are asked by the tax authorities about the structure, the Nominee Agreement between the Nominee Company and the Offshore Company provides sufficient protection. Both Companies (Onshore & Offshore) may NOT trade in their countries of incorporation and the Onshore Nominee Company can REGISTER for VAT. Second option. The nominee company is an effective offshore tool to keep both confidentiality in and control over international business or asset protection structures. Some examples: a nominee company representing the foundation council or the protector in a panamanian private foundation, nominee company acting as the protector in a offshore trust. Trading: The nominee structure is well suited to physical trading with invoicing being done by the onshore nominee company and title in the goods being with the offshore company. The offshore company buys the goods and they are sold by the offshore company with gross income received back to the offshore company so that profits are made there. Asset Holding: The nominee solution works just as well for property and share holding. The offshore company owns the asset and the nominee company acts like a property letting agent or a broker. Rental income is invoiced by the onshore company and received by it on behalf of the offshore principal. A fee is paid to the nominee company periodically, usually as a percentage of the rent collected. Other Uses: The structure can also be used for the supply of services, consultancy, etc where the client does not wish to receive invoices from an offshore company. Mr. Kaufmann in Germany is buying textile products from various international suppliers. He wishes to centralise his international purchases through an offshore structure in order to access stable interest rates offered by international banks and in order to access all available international discounts; there may also be reasons of confidentiality involved. However, if his German company purchases these goods directly from a British Virgin Islands (BVI) or Seychelles company a tax investigation is likely to follow. Mr. Kaufmann therefore utilises a Nominee company to sell the goods on behalf of the offshore company into Germany. Mr. Brown is selling high tech equipment from the Asia into North America. Mr. Brwon is based in Europe and does his trading through an offshore company. Some of Mr. Brown's clients in North America tell him that they would rather not receive invoices from an offshore company, so Mr. Brown uses a nominee company to keep his clients satisfied. Mr. Oscar wants to own some real estate in his favourite holiday destination, but using an offshore company might give him problems. He therefore uses a nominee structure to avoid tax problems in the holiday resort and his own jurisdiction. Any assets should be in the ownership of the Offshore Company. If physical goods are sold, these are owned by the offshore company and sold for it by the nominee company. Title remains with the offshore company. We recommend that the two companies have different directors and shareholders. Contracts with the nominee company must be signed outside its country of incorporation. It is preferable that the directors of the nominee company live OUTSIDE the jurisdiction of its incorporation. The directors of the offshore company should also be non-resident. We can provide suitable directors subject to certain safeguards. 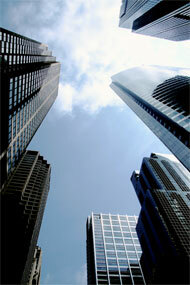 Both companies, both offshore and onshore may not trade in their own countries of incorporation. Some of the options for formation of onshore company are: UK, Ireland, Luxembourg, Switzerland, New Zealand, US, etc.